The Technomancer is a soundtrack of unusual design not only in album structure and song design, but instrument choice. This is not the only album that Olivier Deriviere has written in such a fashion. A few other soundtracks that he has composed for are Alone in the Dark, Of Orcs and Men, and Remember Me. The latter had a very experimental soundtrack that not only perfectly worked with the game, but was an enjoyable experience all around. 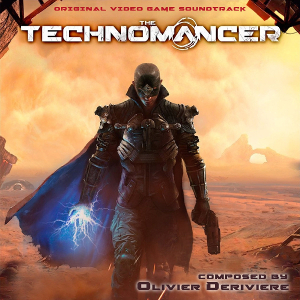 The Technomancer is Olivier’s newest album, and follows much in suite. The album has a very progressive feel to it with its focus on experimental instruments. Yet while it feels comfortable to listen to in a work, school, or other environment, it surprisingly felt out of place for a game at least for me. The uniqueness of this album is not only how it was composed, but what the music was played on. All of the live instruments are home-made from junk metal, plastic, and such in order to reflect the harsh conditions of the game. Deriviere included a few photos in the Bandcamp release of the album to give a small window into what they used. The four photos show him using PVC tubes for a drum kit and a flute, bowed nails for percussion, and a metal bodied guitar that looks similar to cigar box guitars. I think it was a real treat to see this included in the album, especially since there are such uncommon sounds in the soundtrack. I really admire Deriviere for constantly striving to look for new sounds and new ways they can be integrated into his music. Using these instruments, Deriviere blends many different styles of music together to create a soundtrack filled with unique timbres and dissonances. An example of where this occurs is in “Canyon to Noctis”. 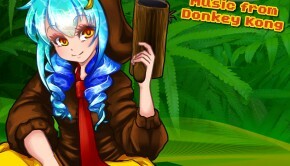 The track sets the stage by using all sorts of percussion instruments to create tapestries of rhythms and timbres. After the first thirty seconds, you hear sounds of custom-build woodwinds with sounds not dissimilar to those of Native American wind instruments. The track simultaneously captures both tribal and sci-fi feels all in one. Many tracks follow this approach, with the likes of “Traditionals From Earth” and “Mutant Valley” carefully balancing silence and motion. Another thing that Derivere does well is to develop individual tracks in a progressive way leading to rich climaxes or, in some cases, surprisingly quiet closes. A prime example would be “Farewell Master”. This track starts brutishly with a few notes played in succession until the forces build up and a theme emerges. This track reminded me much of the techniques Phillip Glass that uses, its almost off-putting introduction leading to a beautifully woven development that builds into a layered finale. Olivier does this in a number of tracks where the track progresses to the final form. His use of this system makes it fairly easy to listen to and enjoy while doing other tasks. It allows for a gradual expression of the emotions wanting to be portrayed. 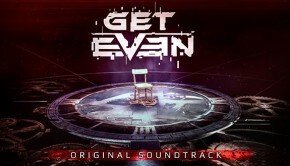 The soundtrack on a stand-alone basis is very well done, sounds great, and is well produced. The price for the album is very generous, especially with there being a bonus if you buy it through Bandcamp. Where it falls apart however is the integration with the game. While the use of junk elements was supposed to capture the abandonment of the game’s protagonists on Mars, all too often they feel overpowering, distracting, and much worse. An example is “The Digger”, which I found overly distracting and confrontational. The track is in no way a bad one, but it certainly doesn’t blend into the scenery. In fact, I found that more times I was interested in finding out what was the instrument or device that created the sound played rather than play the game itself. The bonus tracks included in the Bandcamp release include tracks from two other games that Deriviere composed for The Technomancer game developer Spiders Inc. The Of Orcs and Men soundtrack contains 22 tracks, which in addition to the three Bound by Flame pieces bring the full release to 50 tracks. These tracks being included in the release was a nice touch, since these albums weren’t on Bandcamp previously and adds even more value to the 7 USD bundle. The soundtrack for Of Orcs and Men is much reminiscent of a standard video game soundtrack, but interestingly places focus on rich cello quartet performances and interesting percussion beats. “Twisted Humans” and the following track in the release “Back to the Forest” showcase this. The three tracks from Bound by Flame start strong, but aren’t numerous enough to paint a full picture and fully stand on their own. My favorite track of the three is “Mio”, a very simple song with guitar, vocals and percussion. The additional tracks were certainly not needed, as The Technomancer soundtrack itself stands well as a bargain, but it was very nice to hear additional works and they really showcase his flexibility. Olivier Deriviere is a fantastic artist that will always push the limits of creativity. His most recent soundtrack for The Technomancer is no exception. 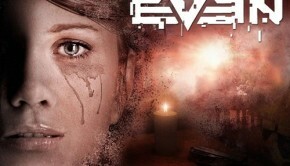 The album has a very progressive feel to it through its unique custom instrument usage and blend of sci-fi vs tribal influences. In addition, the music flows relatively well between the tracks allowing for it to be one that is enjoyable to listen to outside of the game. However, the album does fall short with its integration and how well it fits with the game itself; most of the time the soundtrack feels out of place and more apparent than the objectives. 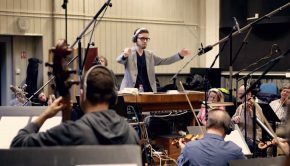 The soundtrack is very well priced, especially including the additional tracks, and it can easily be listened to multiple times without feeling fatigued. Overall, Deriviere provides a solid experience that has a few flaws that can be overseen for the unique qualities that shine. Posted on August 1, 2016 by Colby Bell. Last modified on August 1, 2016.